Great single track roads to get out on your bike. Cove from Poolewe 14km/9m one way. Why not visit the Russian Arctic Convoy Memorial at Cove, and stop off at Firemore beach. Opinan from Laide 7km/4.5m one way. 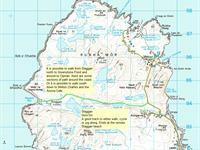 Why not stop off at Mellon Udrigle beach, or head down the track to Slaggan. Mellon Charles from Aultbea 5km/3m one way. 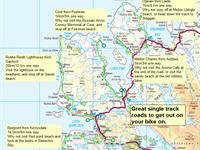 Why not visit the Aroma Cafe at the end of the road, or visit the sandy beach at the old military base. 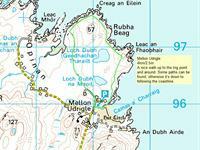 Rubha Reidh Lighthouse from Gairloch 20km/12.5m one way. Visit the lighthouse on the headland, and stop off at Sands beach. 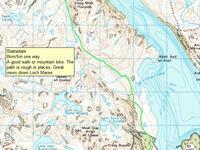 Redpoint from Kerrysdale 14.5km/9m one way. Why not visit Red point beach and look at the boats in Badachro Bay. Fairy Lochs 5.5km/3.5m. 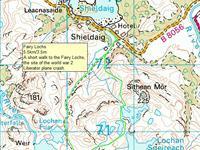 A short walk to the Fairy Lochs, the site of the World War 2 Liberator plane crash. 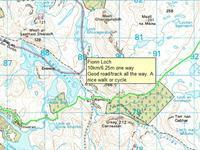 Fionn Loch 10km/6.25m one way. Good road/track all the way. A nice walk or cycle. 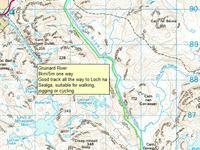 Gruinard River 8km/5m one way. 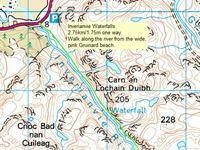 Inverianvie Waterfalls 2.75km/1.75m one way. Walk along the river from the wide, pink Gruinard beach. 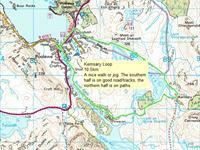 Kernsary Loop 10.5 km nice walk or jog. The southern half is on good road/track. The northern half is on path. 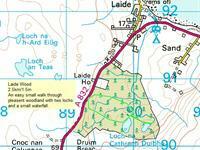 Laide Wood 2.5km/1.5m easy small walk through pleasant woodlands with two lochs and a waterfall. Mellon Udringle 4km/2.5m. A nice walk up to trig point and around. Some paths can be found otherwise its down to following the coastline. 5km/3m Slaggan Beach. 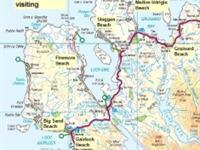 Good track to either walk, cycle or jog - ending at the remote Slaggan Beach. 8km/5m one way, good walk or mountain bike. 8km/5 m Slattadale. A good walk or mountain bike, one way. The path is rough in places. Great views down Loch Maree.